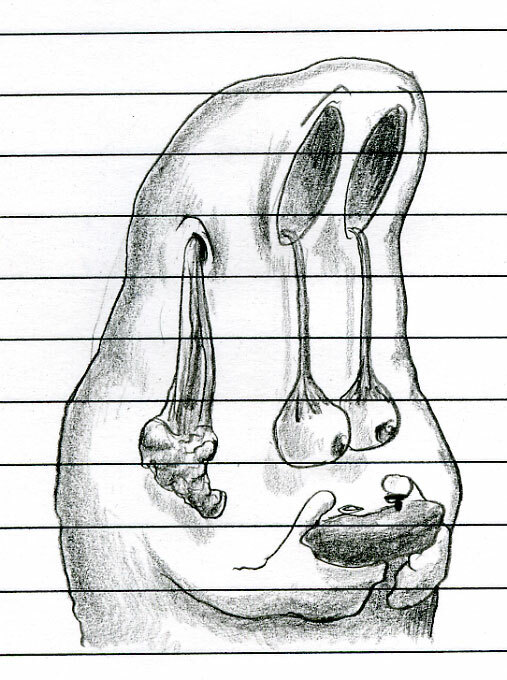 foosbeer said…Zoe would like to request a doodle of a ghost playing XBox 360 with its eyes melting out of its sockets and brain dripping out of its ears. My daughter complained that my rendering of what is left of the ghost’s brain (from too much TV/gaming) looks more like a chicken leg. 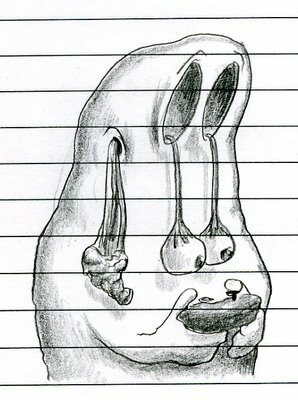 My position is that the brain has rotted to the point that it was able to fit through the ghost’s ear-hole, thus providing the appearance of a brain dripping out of its ears as was requested. If it looked more like a brain, it would never have been able to ‘drip’ out of the ear hole. Let’s be realistic here. This entry was posted in brain, ears, eyeballs, foosbeer, gaming, ghost, requests, xbox. Bookmark the permalink.